This project has developed a web platform that offers training for those involved in the food sector of Andalucía. This primarily benefits remote rural populations that have, until now, lacked state of the art training and the latest knowledge. One of the principle objectives of the Research and Training Institute for Agriculture, Fishing, Food and Organic Production (IFAPA in Spanish) is to contribute to the modernisation of the agricultural, fishing, and food sectors of Andalucía. Another objective is to improve the competitiveness of these sectors through innovation, research, technology transfer, and training. This e-training website was conceived as a response to the capacity building needs of farmers and should help achieve the IFAPA’s goals. The project aims to contribute to one of the main objectives of the IFAPA, which is to share “centralised” knowledge with remote rural areas. This in turn should contribute towards the aims of improving human capital and competitiveness in the rural areas of Andalucía. To this end, the specific objectives of the project were to develop an e-training platform facility, to train farmers to use it, and subsequently to offer online capacity building. 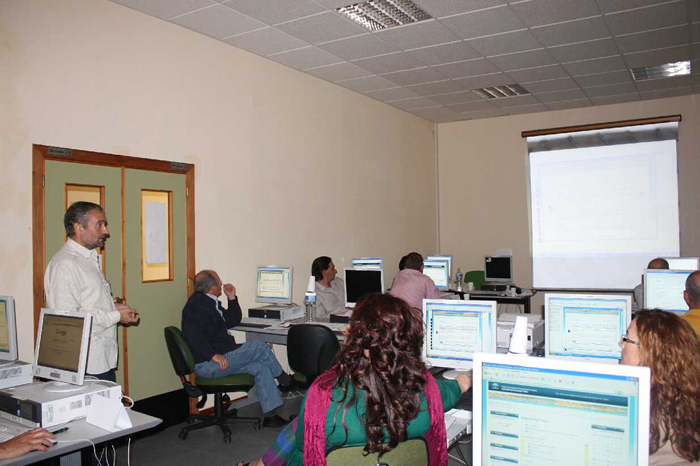 The main project activities were the development of a web platform and the designing of courses addressed to farmers, fishermen, and other people involved in the food sector of Andalucía. The platform is user friendly and after an initial classroom session to teach farmers how to use it, they are free to follow any of the online courses on offer. An online tutor system was also established, which allows anyone requiring further assistance to have any queries clarified. The main result of the project has been the successful introduction of a system capable of offering training to people in remote rural areas, who do not have access to traditional 'classroom' (face-to-face) training. The user friendly platform now offers a large number of courses covering a wide variety of content, which attracts an increasing number of 'students'. This increase in 'human resource capacity' should, in the longer term, contribute to improving the competitiveness of the region. This project has proven that the introduction of IT systems can solve the problem of reaching rural areas as without a web platform it would not have been viable to provide training for farmers in the remote areas of Andalucía. There are two prerequisites for ensuring the success of such an e-training platform were found to be; to design a platform that is user friendly, and to offer initial training on its use.